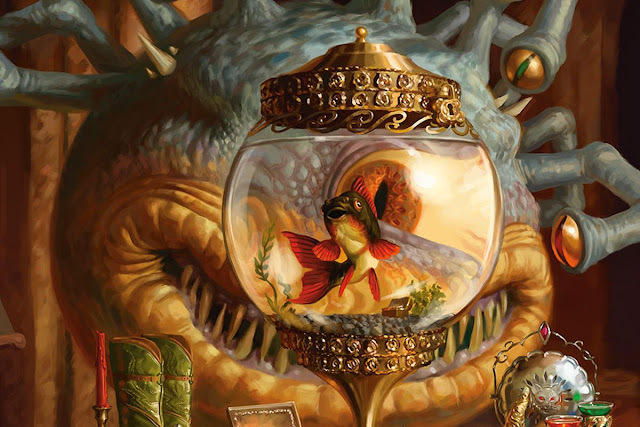 Last weekend, a plethora of actors, comedy icons, Twitch streamers, and proponents of Dungeons and Dragons participated in an epic, three-day live stream that showcased the latest D&D storyline. This hearty troupe laughed and played alongside the D&D team, and created an entertaining event that truly showed why D&D is one of the greatest games to exist. In addition, we learned that D&D’s next storyline involves Waterdeep, the City of Splendors, and what lies below the sprawling metropolis. The campaign comes in two parts: Waterdeep: Dragon Heist and Waterdeep: Dungeon of the Mad Mage. I could not be more excited about this next release. Let’s briefly delve into why this is! 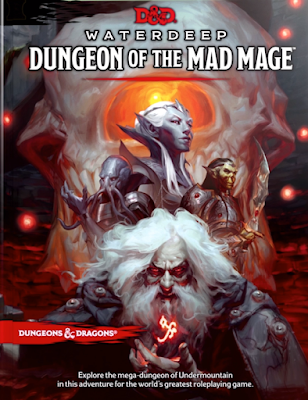 Wizards of the Coast will be releasing two adventure books this fall: Waterdeep: Dragon Heist and Waterdeep: Dungeon of the Mad Mage. The former will take adventurers on an urban romp through the most splendid city in the Forgotten Realms and is levels 1-5. 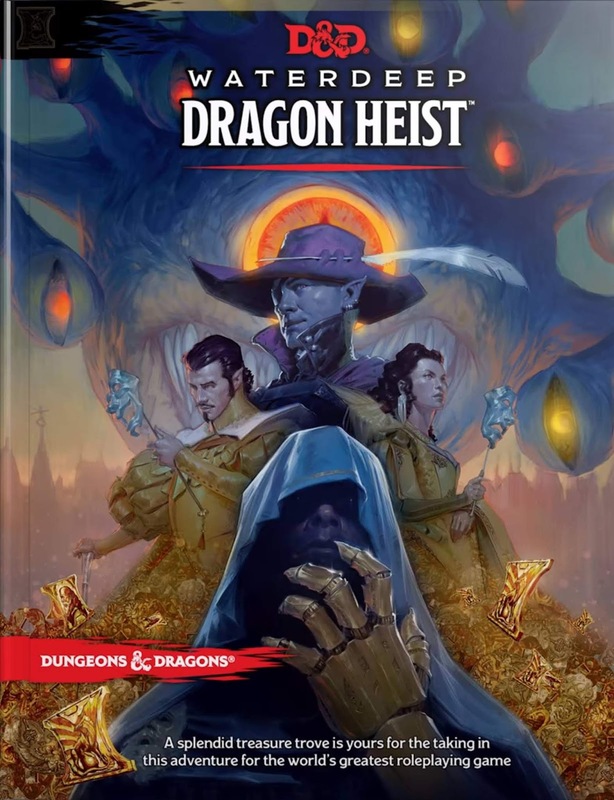 The goal of the PCs is to protect a hoard of gold, called dragons in Waterdeep (hence the name Dragon Heist), from a certain villain. In addition, the book will act as a sourcebook on Waterdeep and a resource for those who wish to run urban adventures. Chris Perkins designed the adventure around the idea of the dungeon master choosing one of four villains to drive the adventure forward. Each villain, supposedly, is connected to a season (spring, summer, fall, winter) and has an entirely different agenda than the others. 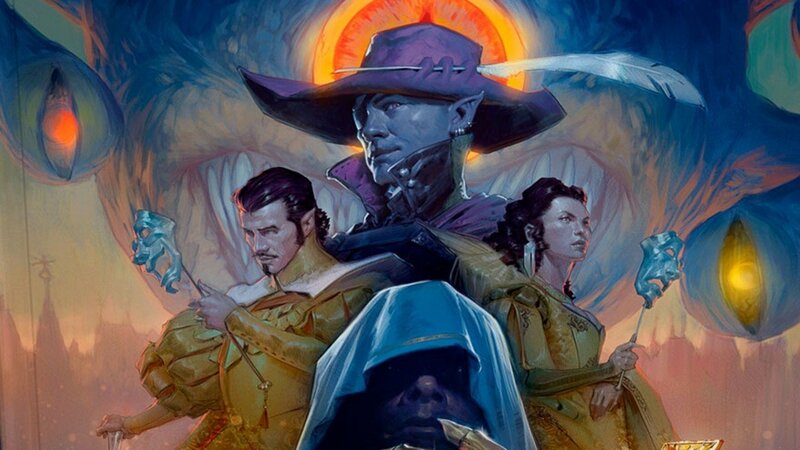 The possible villains are Jarlaxle, a flamboyant drow mastermind, Xanathar, a psychopathic beholder gang boss, Manshoon, rather, a clone of Manshoon, a great archmage, and the Cassalanters, a noble house in Waterdeep. The different villains and seasons attached them give Dragon Heist replayability, or, if you’re crazy, a vast amount of villainy to include in a single campaign! 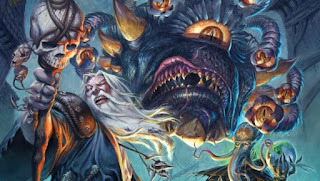 The latter and second part of the Waterdeep series will take adventurers below Waterdeep, into the massive dungeon of Undermountain and is levels 6-20. 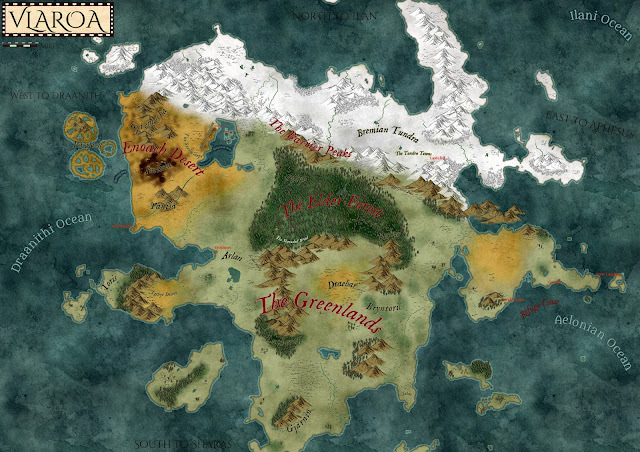 Yes, you read that correctly, this, two-part series will be the first official fifth edition campaign that takes PCs from level one to level twenty! Within Undermountain awaits an immense variety of vicious traps, drooling monsters, pompous villainy, and unimaginable treasures. 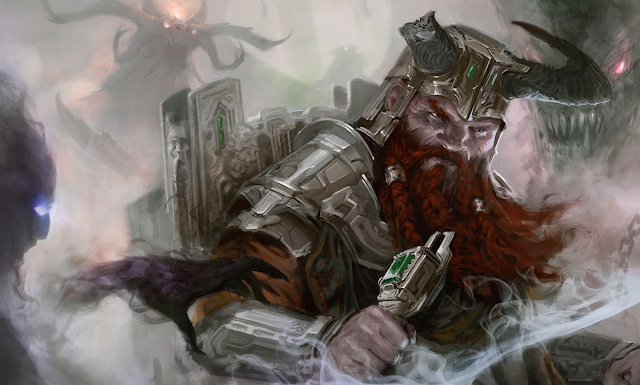 We know that Halaster Blackcloak, the creator of Undermountain, resides within, but, other than that little tidbit, we’re unsure as to why the PCs will be delving into Faerun’s greatest dungeon. I'm eager to learn more! 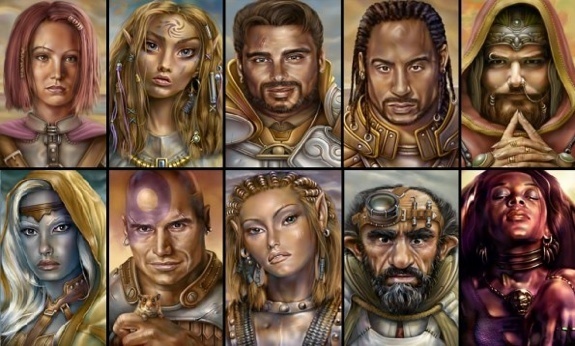 I was raised on Baldur’s Gate, Diablo, and Neverwinter Nights. I vividly remember Neverwinter Night’s second expansion, Hordes of the Underdark. That module was my first introduction to Waterdeep and Undermountain. 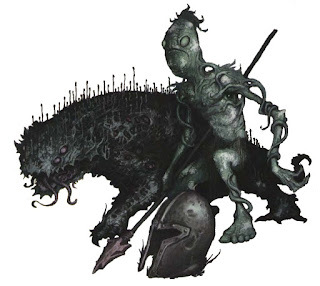 Into the depths of Halaster’s dungeon, I delved, battling through haunted crypts, trapped devils, and legions of drow, duergar, and other Underdark evils enslaved by or allied with Halaster. I loved every bit of it. The madness of the Undermountain, the tranquility of Waterdeep, the sin of Halaster, and the evil of the dark elves, everything melded together perfectly. And that was fifteen years ago. Today, with my reading, writing, and comprehension level far surpassing 6-8 year old me, I’m prepared and hyped for fifth edition’s version of Waterdeep and Undermountain. 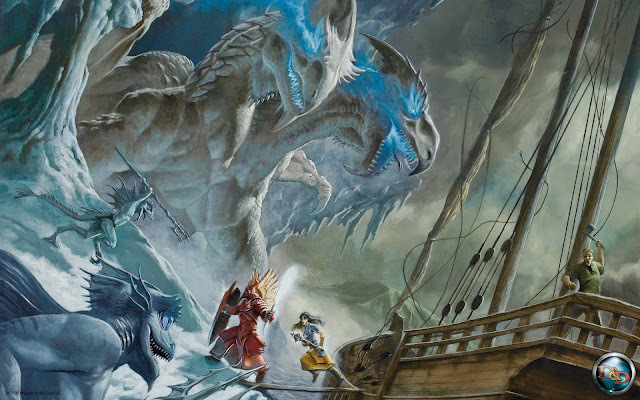 From what we’ve heard, in addition to both books being adventures, the books can serve as a resource to DMs and players, something I use all of the WOTC adventures as. 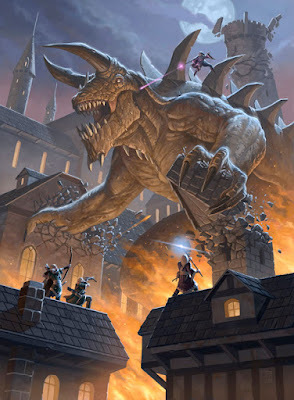 Dragon Heist is set in the entire city of Waterdeep. Using that metropolis as an example, DMs will be able to deduce the mystery of running interesting urban adventures. Expansions on topics such as chase sequences, downtime, and combat and roleplaying in a pure city environment are to be expected. 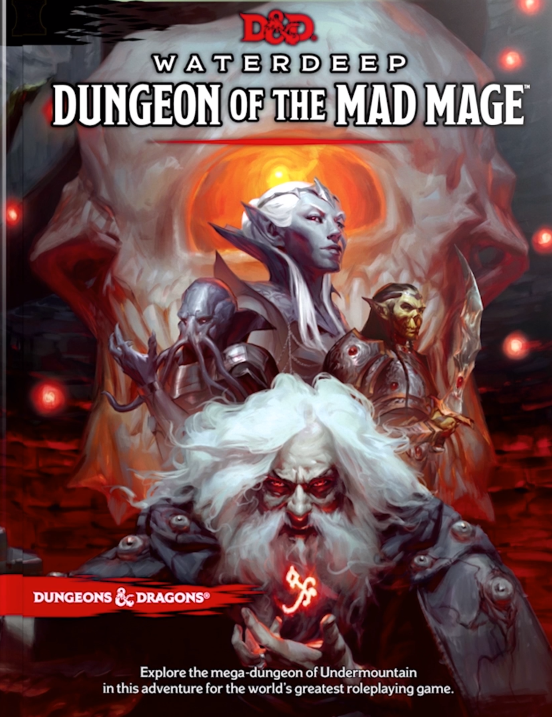 Dungeon of the Mad Mage will most definitely be a huge inspiration to those looking to run mega-dungeon campaigns or insert dungeons into their current ones. We’ve heard that each level of Undermountain has its own tone, environment, and villains. 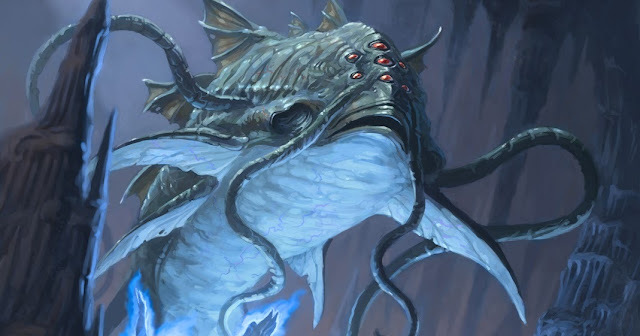 This aspect may be heightened because WOTC pulled in a plethora of freelancers to assist them with this massive undertaking. Whatever’s within Undermountain, I’m sure it will be fantastic; WOTC has not disappointed me thus far. Waterdeep: Dragon Heist, an urban romp through the City of Splendors, in which the adventurers strive to keep a hoard of gold away from one of four villains, goes through levels 1-5 and focuses on roleplaying. 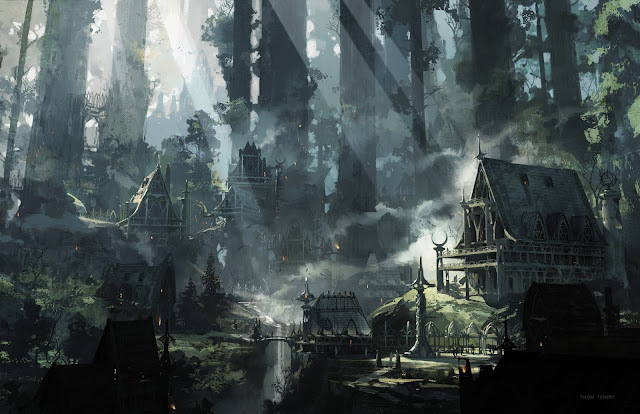 Waterdeep: Dungeon of the Mad Mage, a delve into Faerun’s greatest dungeon, designed by Halaster Blackcloak, spans levels 6-20, becoming fifth edition’s first module designed for PCs to hit the level cap. That’s it! I’m incredibly excited for this module, and will definitely be picking it up in game stores when it releases in September and November. Next week, we're finally returning to Legendary Lessons! Until next time, farewell, friends.